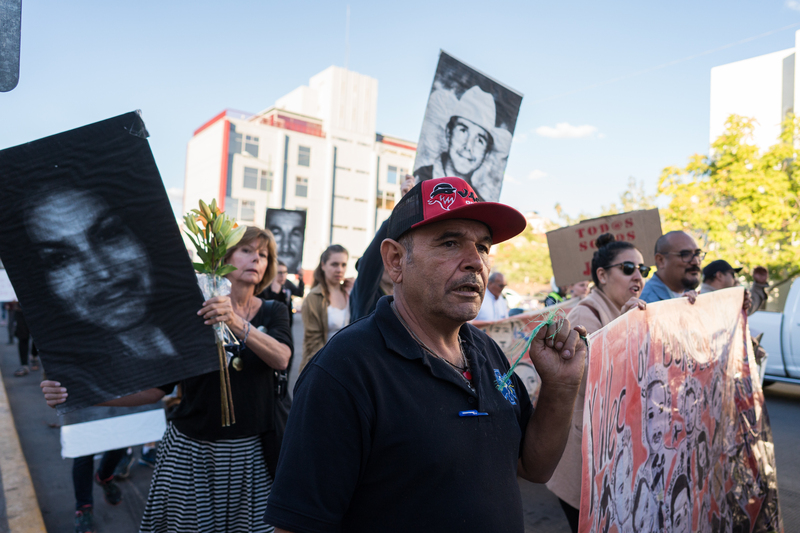 NOGALES, MEXICO — It was just over 10 years ago that Francisco “Panchito” Olachea Martin was deported from Phoenix, Arizona, to the Mexican city of Nogales on the U.S.-Mexico border. With only the clothes on his back, he was sent through the main port of entry, leaving his family and life of almost 34 years behind. 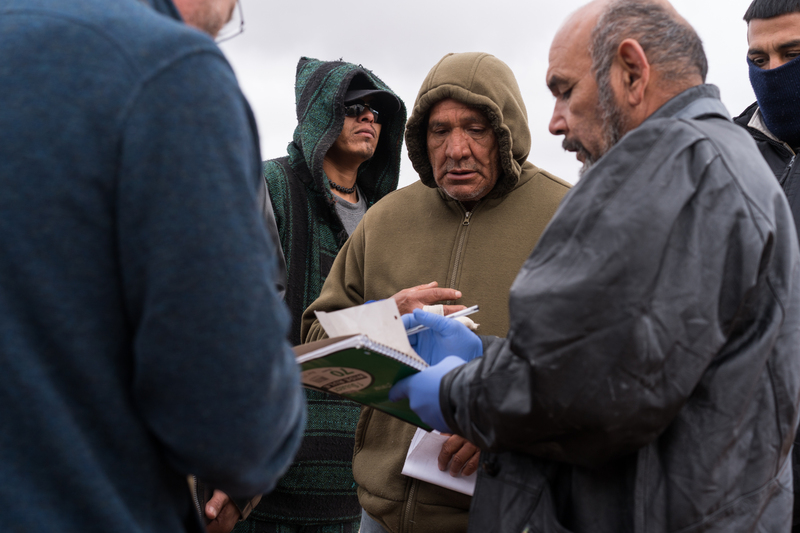 Living in the U.S. while undocumented since the late-1970s, Panchito had to start over, but in a new city that he says was not as welcoming to newcomers as it is now. 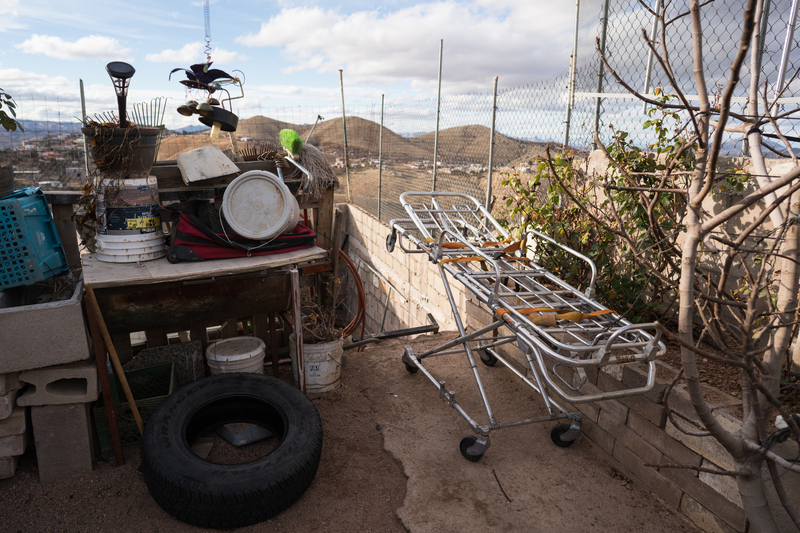 “We had a lot of violence here in Nogales and immigrants pues, they were ignored a lot here for being deportees so I said, ‘I gotta do something about it,’” he told Latino USA. 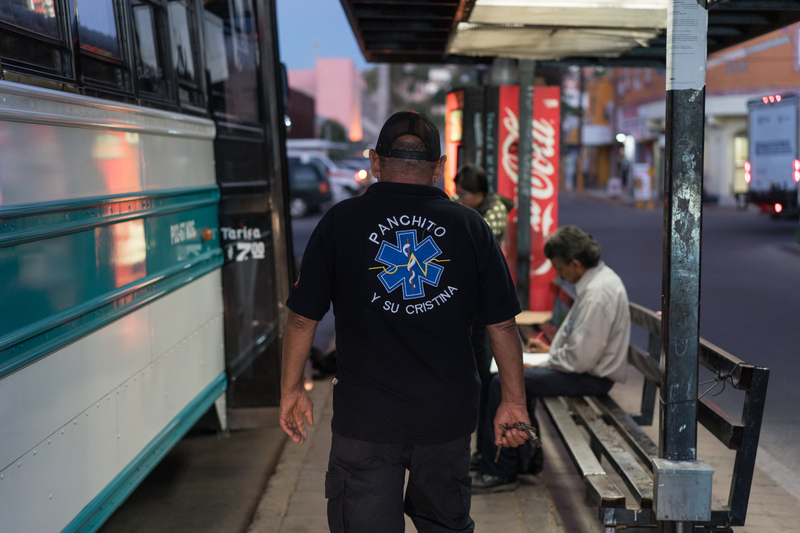 So for the past decade, Panchito, now 59, has built up his reputation as a nurse and EMT paramedic who hits the streets of Nogales every weekday. 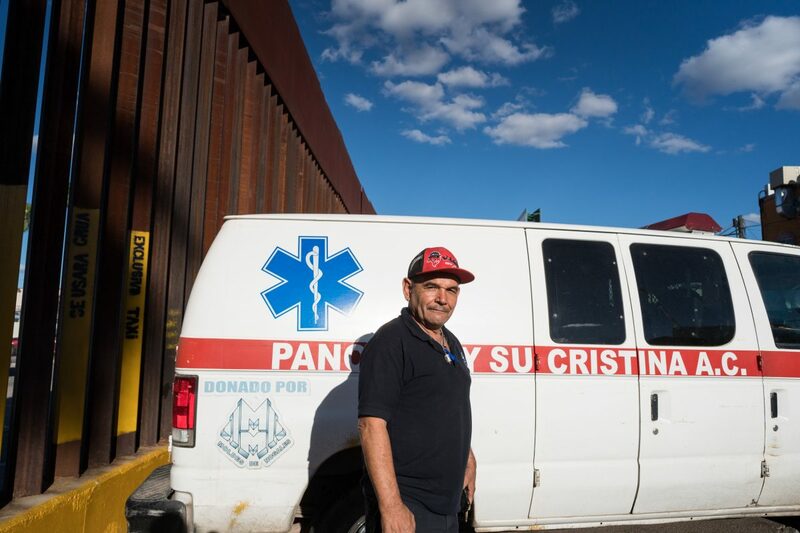 Working as a civil association, “Panchito y Su Cristina” (Cristina being his work vehicle named after his daughter), he serves migrants (often asylum seekers) and many vulnerable populations. 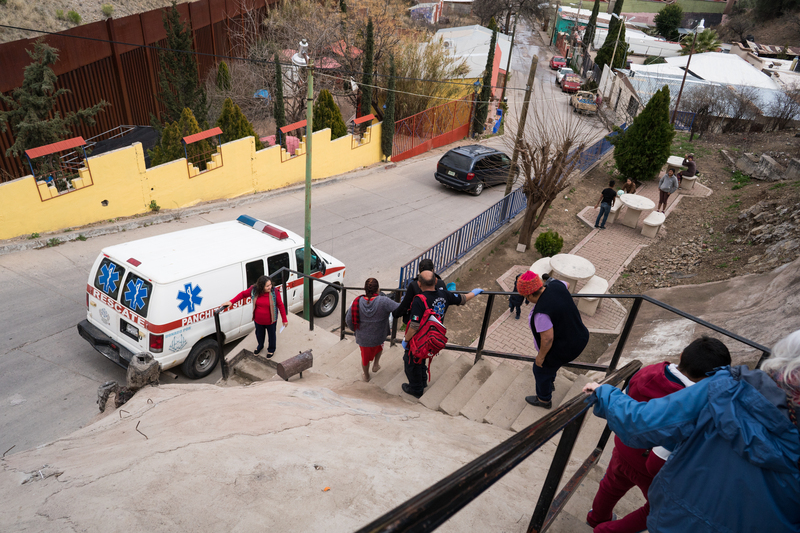 While it took time to get to where he is now —equipped with a functioning ambulance, a nursing degree, and basic EMT certification— Panchito says he has always put people in need first. “I started to help people since I got here in Nogales and it just took me a few years to graduate and make everything legal,” he says. 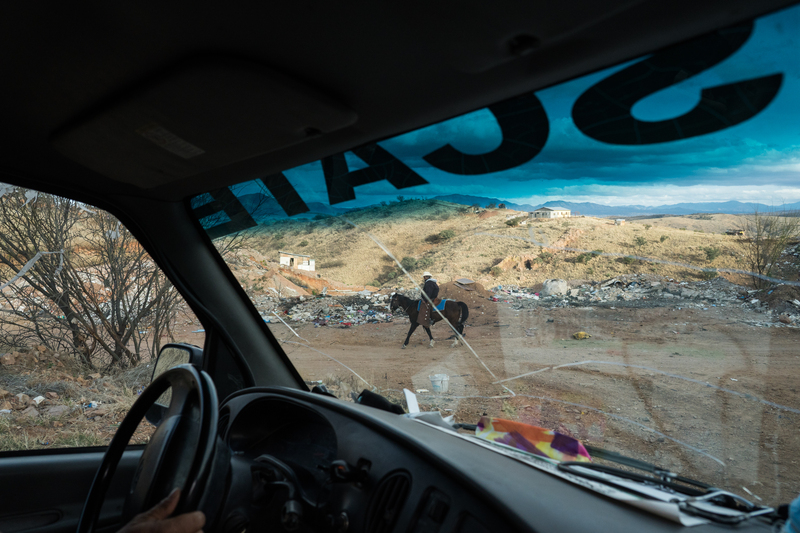 On call 24/7, Panchito lives in the impoverished hills above Nogales in a small rental house near the old city garbage dump. He is not far from the Iglesia en la Calle (Church in the Street), where many of the people he serves also live, including orphans and recovering addicts. Since all of his medical work is on a volunteer basis, he relies entirely on donations from humanitarian aid groups and churches, which are mostly in the United States. The money that he receives covers supplies like diabetes test strips, medications for patients and their doctor’s visits, and fuel. It also helps in covering his working ambulance. Any money he spends for himself comes from his part-time weekend job with the Nogales Police Department, as a security guard for special events. Now with a regular stream of donations, Panchito is able to perform a true patchwork of humanitarian service. 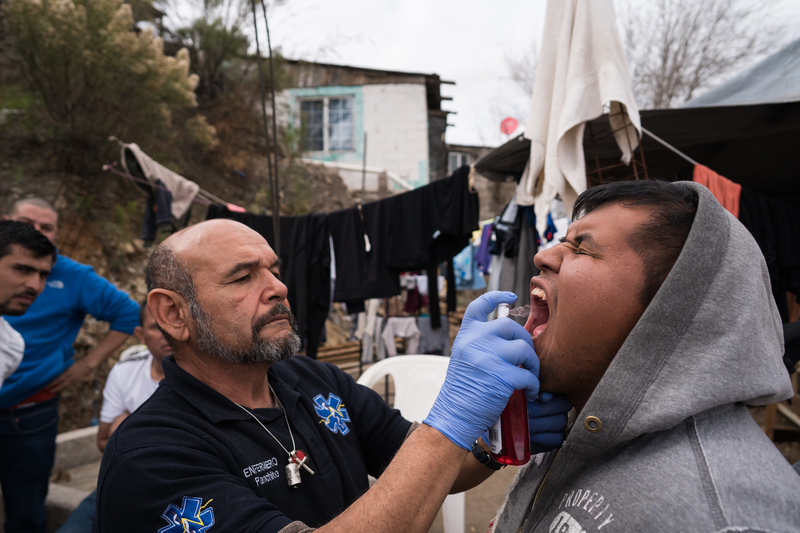 When I first joined him in October of 2018, he was collecting adult diapers to distribute to the elderly, checking on Central American asylum seekers at the DeConcini Port of Entry, transporting migrants from the public hospital to sleep at shelters, and attending a vigil for José Antonio Elena Rordríguez, the Nogales teen who was shot and killed by Border Patrol agent Lonnie Swartz in 2012 (Swartz was acquitted). 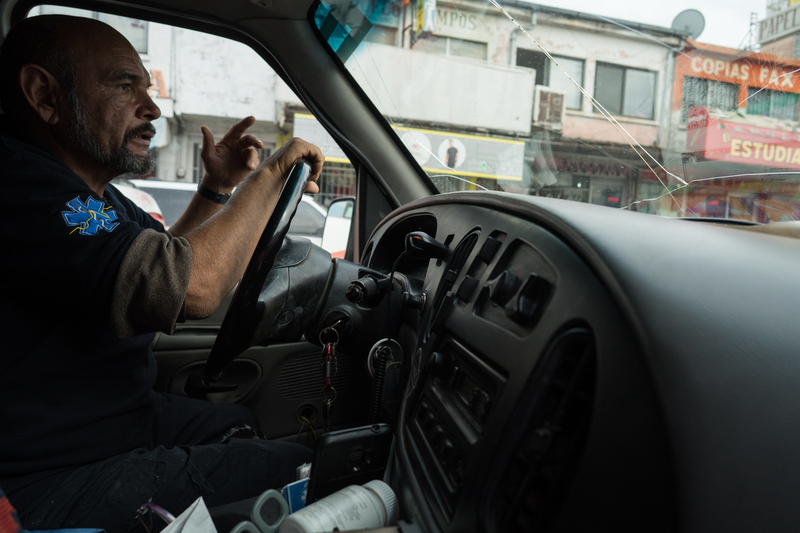 Riding along with him, it’s not uncommon to hear people on the corner holler out “Panchito!” as he passes by in his van with a cracked windshield. 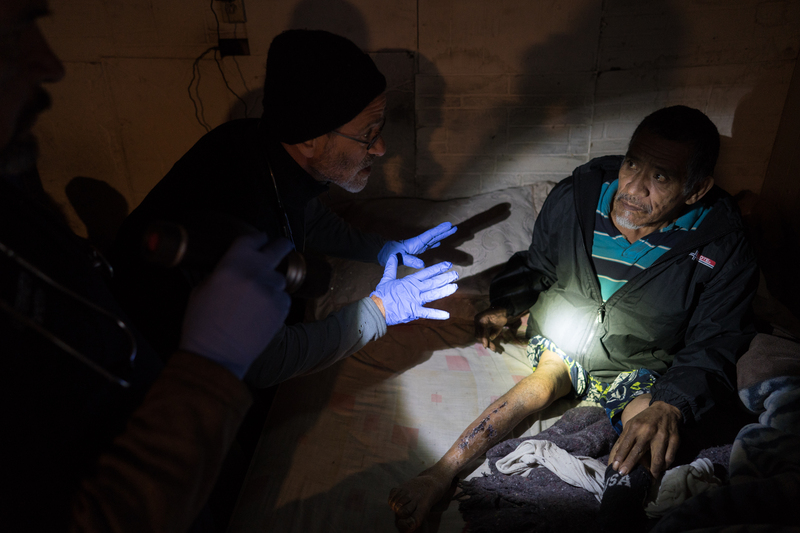 These limitations are seen on the first day I join Panchito in February of this year, when he checks the blood pressure of migrants staying at theLa Roca shelter. There are a few migrants who have alarmingly high blood pressure numbers (one man with a systolic reading over 200). At this stage, a person is in danger of having a stroke or another life-threatening incident at any moment. 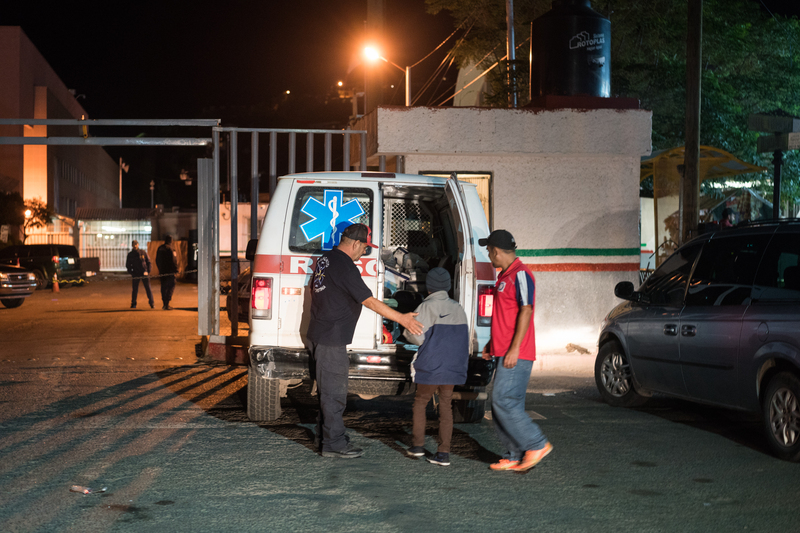 And because Panchito can usually only administer over-the-counter medications, he will often take migrants and residents to the public hospital to receive the necessary treatment. 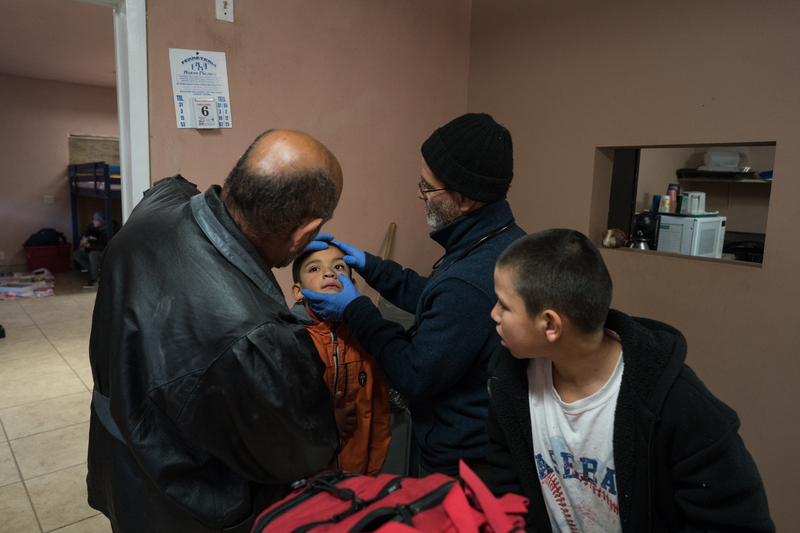 On the next day with Panchito, he is joined by a doctor from Tucson named Peter Brown, who plans to join his check-up runs once a week. Once such stop saw them visiting a family living in extreme poverty in Colonia Virreyes (several people staying in a dark, one-room house), where an elderly man with diabetes and crippled legs from a car accident is unable to easily leave his home. These are the patients Pachito visits regularly. “It was nice that the doctor was there to do an evaluation and whatever he recommends, then my knowledge as a nurse is starting to increase to give better care to these people,” he explains. Panchito says that he’s in the best position he’s ever been to help the people of Nogales. But that doesn’t mean that he doesn’t sometimes face disruption from gangs and even others who also work with migrants.